We started the sample menu plan from GNOWFGLINS.com this past weekend. Actually, I made one of the dinners. That’s as far as I’ve gotten with using the menu plan. The chicken chili was pretty good. I’m not that big into beans, so next time I’ll leave them out all together or just have a very small amount in it. 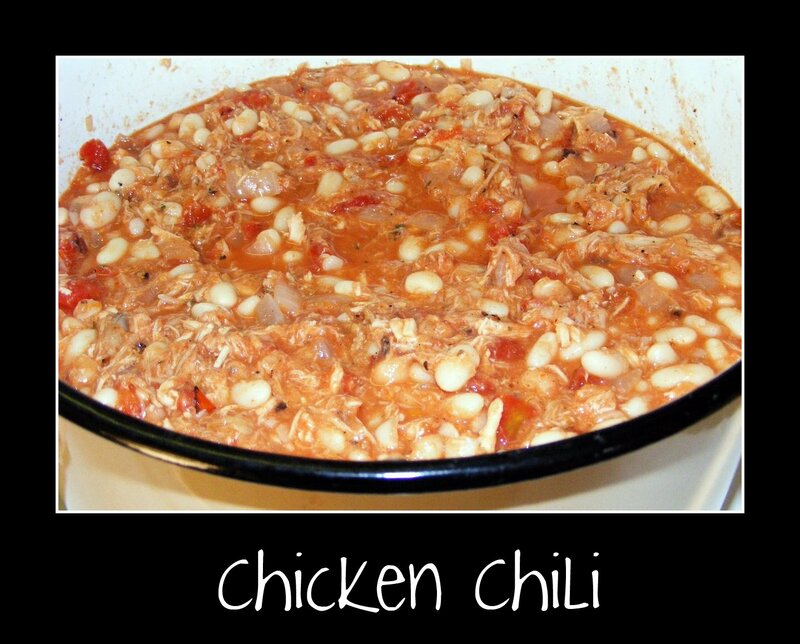 Go here to get the Chicken Chili recipe on page 2. This was a little challenging for me. I mean, I haven’t really cooked alot in my life. Yes, I can follow directions on a recipe. But it is definitely different when you have to plan out days in advance because you have to start this or that to make sure you have enough time to cook each thing before the actual meal comes together. I was going to give you a blow by blow of what my weekend looked like but it just seemed so boring. And it sounded really stupid. So, I am going to give you some really good links below that will help you with this recipe if you haven’t done anything like this before. I honestly loved making this meal. And most of it was really really simple. It just took some time to understand how exactly to do everything. Making the chicken in the crockpot wasn’t hard at all. I’m not even sure you need a tutorial or video for this but just in case. Next is making the chicken stock for this meal. I’m sure this probably varies a little from person to person. But, here’s a video tutorial on how to make stock from the Healthy Home Economist. And I couldn’t resist giving you more links about how and why to make your own homemade stocks. 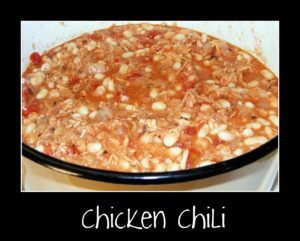 The chicken chili was good even with all those beans. We had sourdough garlic bread with it and also sour cream. The bread and sour cream MADE this meal. I wouldn’t have it without either one of them. Awesome! This post is part of Monday Mania hosted by The Healthy Home Economist, Real Food Wednesday hosted by Kelly the Kitchen Kop, Simple Lives Thursday hosted by GNOWFGLINS, Pennywise Platter Thursday hosted by The Nourishing Gourmet, and Fight Back Friday hosted by Food Renegade.